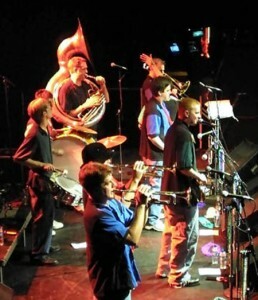 Jack Brass Band is distinguished as Minneapolis’ only New Orleans style band. Combining New Orleans style jazz with blues, hip-hop, rock, pop, funk, and reggae the band’s percussion and brass blends create an awe-inspiring sound. The group is known to bring audiences to their feet with a rich tradition and New Orleans groove.